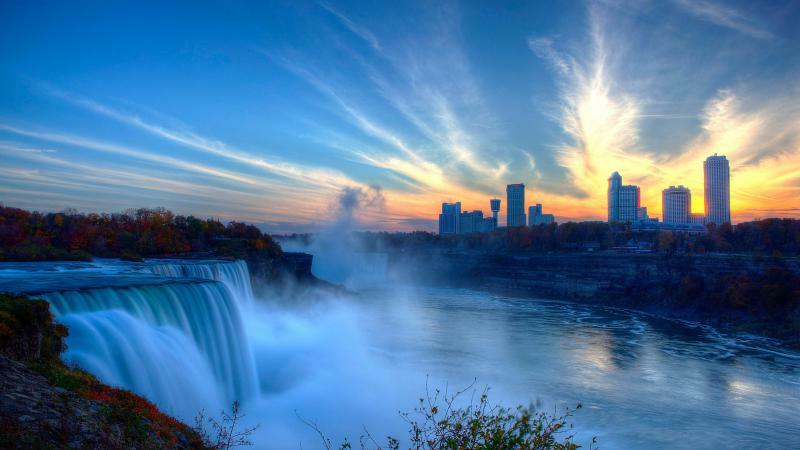 Ranked as one of the most prominent landmarks of both Canada and the US, Niagara falls combine and unite three water falls on the border of the two countries, between Ontario (Canada) and New York state(the USA). 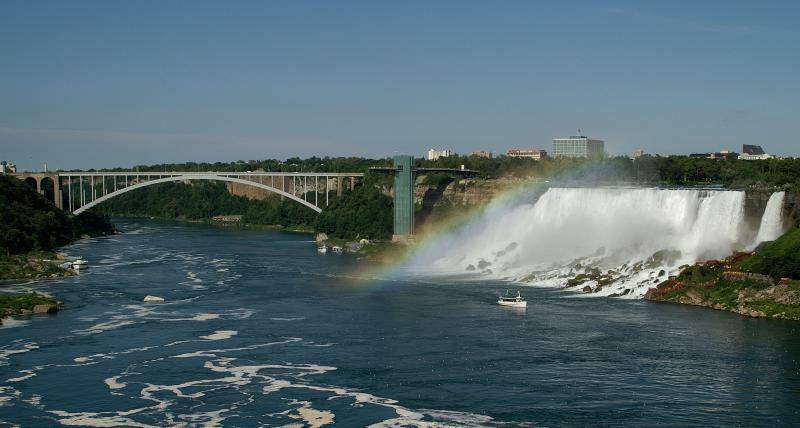 Niagara falls is 51 m tall, located at the elevation of 51m, with Rainbow bridge and Whirlpool Rapids bridge crossing over it, and Luna Island popped up. The three water falls in question are the Bridal Veil Falls(the smallest of the three), the American Falls, and the Horseshoe Falls(the biggest of the three). Goat Island separates the Horseshoe Falls, which are positioned in Canada, and the American falls, completely lying on the USA side. 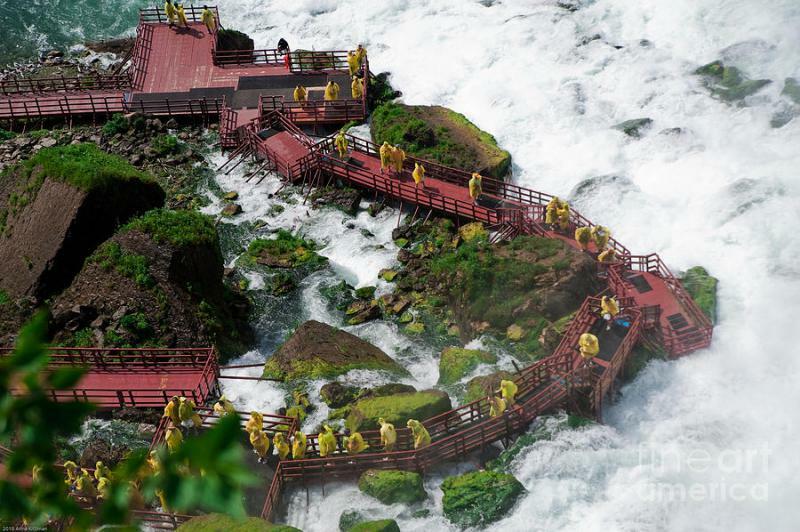 Luna Island separates the smallest Bridal Veil falls, which are also on the American side, from the other two falls comprising the Niagara falls. The Niagara River houses the three falls, which are estimated at the highest flow of water compared to any waterfall throughout the world. 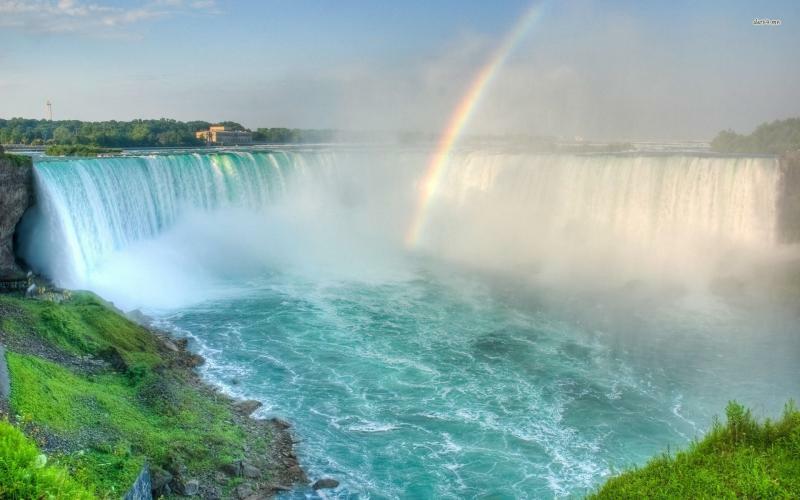 The vertical drop of the Niagara Falls water is as high as 51 m, with the Horseshoe falls representing the most powerful North American waterfall, not only considering its flow power, but its height as well. 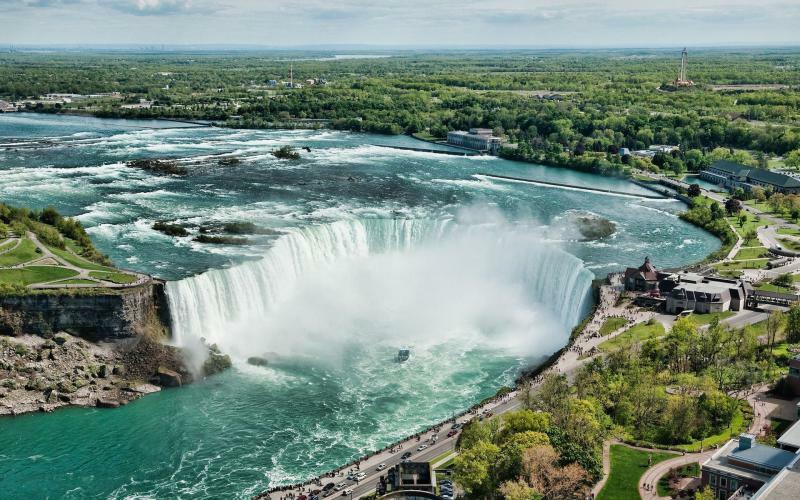 The magnificent view of the well renowned Niagara falls can be observed between the twin cities named Niagara Falls; each of them is located respectively in Ontario, Canada, and New York, the USA. 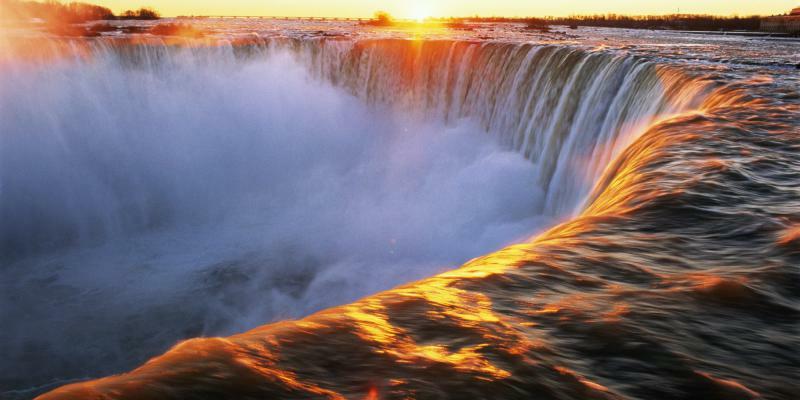 Niagara falls are not famous for their exceptional height, however, they are popular with being extremely wide. 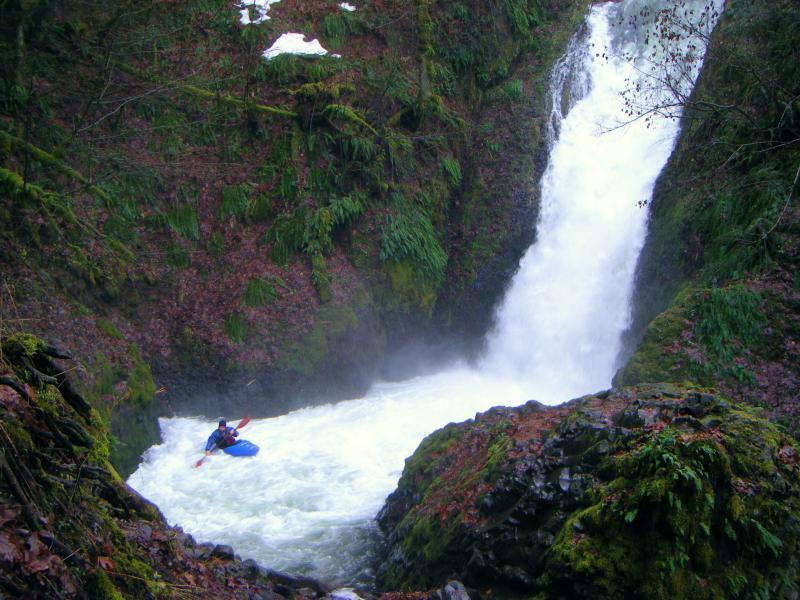 High flow brings approximately 170, 000 m3 of water every minute, and the average water flow is 110,000 m3. During the period of the last ice age, glaciers subsided at the end of the Wisconsin glacier formations and masses of flowing water from the Great lakes moved through the Niagara Escarpment heading to the Atlantic Ocean. The result of this water flow was the formation of the Niagara falls. The same glaciations processes led to the formation of the famous Great Lakes and Niagara River, too. 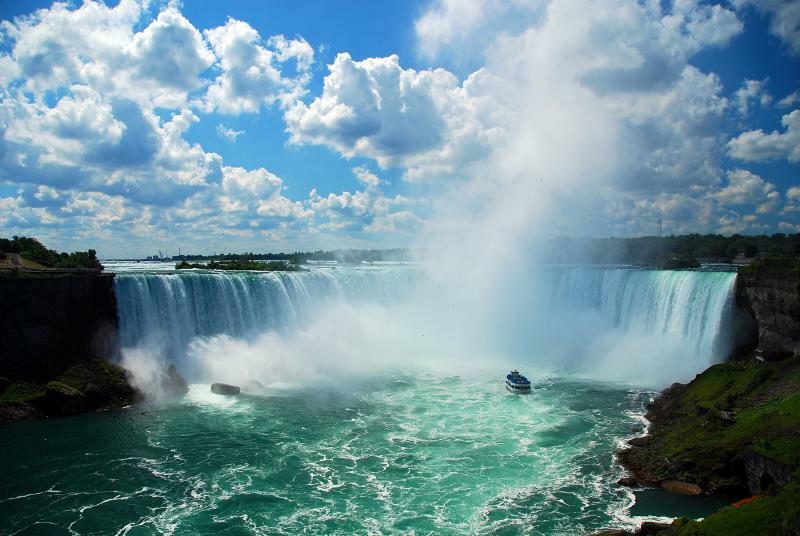 The rich green color of Niagara falls water is due to the salts and the fine ground rock, which is defined as rock flour. It has been estimated that every minute 60 tonnes of salts dissolve in the water, and the process results in the water green hue. 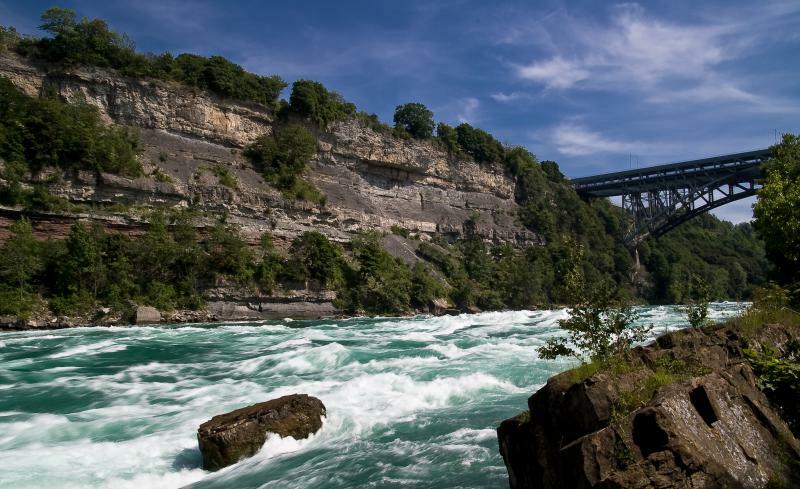 The powerful and fast-moving waters of the Niagara River cause erosion, estimated at about 0.30 m (1 foot) per year. 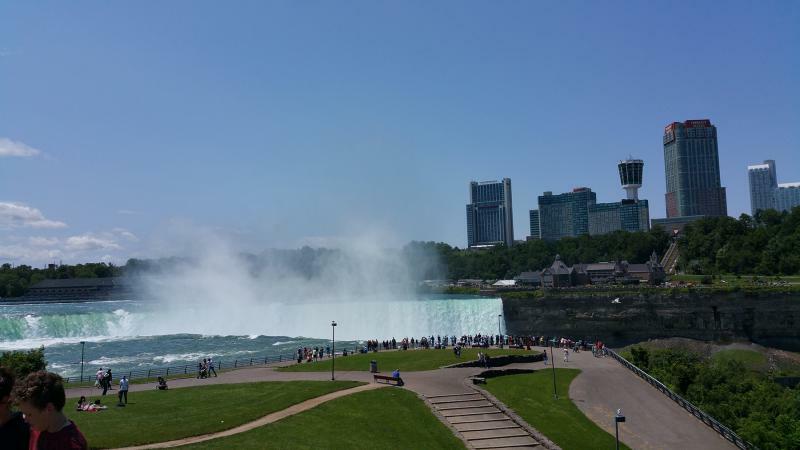 Experts claim that within 50,000 years the falls will no longer exist due to the erosion at force in the area of Lake Erie. 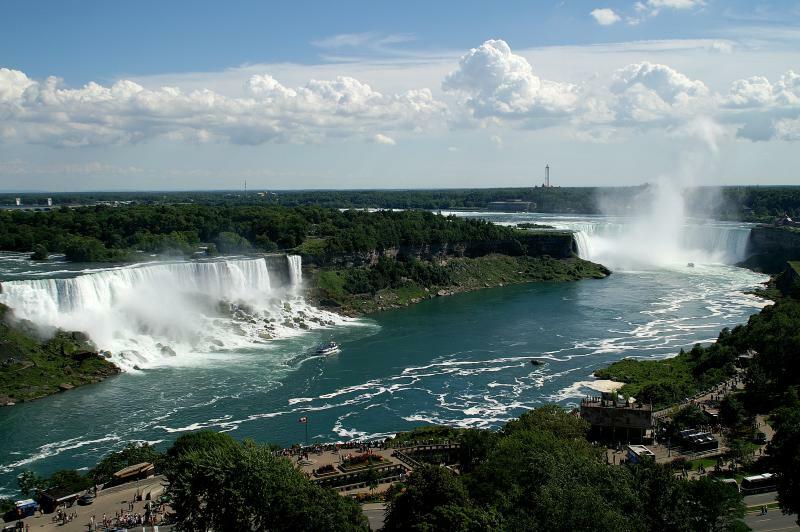 Some more than 10,000 years ago, the Niagara falls used to have a different location from the present-day topography. They were situated between Queenston, Ontario in Canada and Lewiston, New York in the US. The altered position of the waterfalls is the result of erosion, which caused the waterfalls to retreat about 11 km south from their original location. The same process of erosion had a changing impact on the shape of the Horseshoe Falls. Initially they had the form of an arch; gradually this shape was changed into a horseshoe, and these days the falls have taken the shape of an enormous V.
Hopefully, there have been serious attempts to preserve the majestic beauty of the waterfalls area and slow down the processes of erosion and recession through engineering. The initiative of combining the benefits of recreation, commerce and industry in the Niagara falls area has been operating since the nineteenth century. The famous sight has been beneficial and profitable to both Canada and the USA, whose stewards provide organized tours and boat rides. 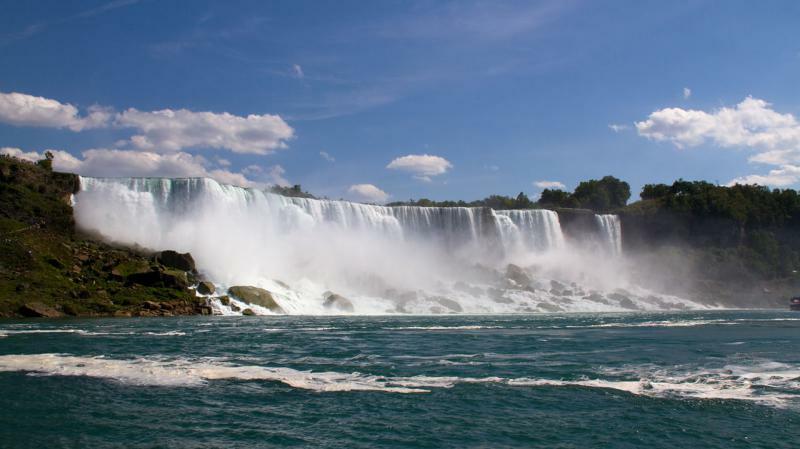 The touristy advantages of the Niagara falls are enhanced by the fact that the strong and powerful water flow has been a precious source for generating hydroelectric power.